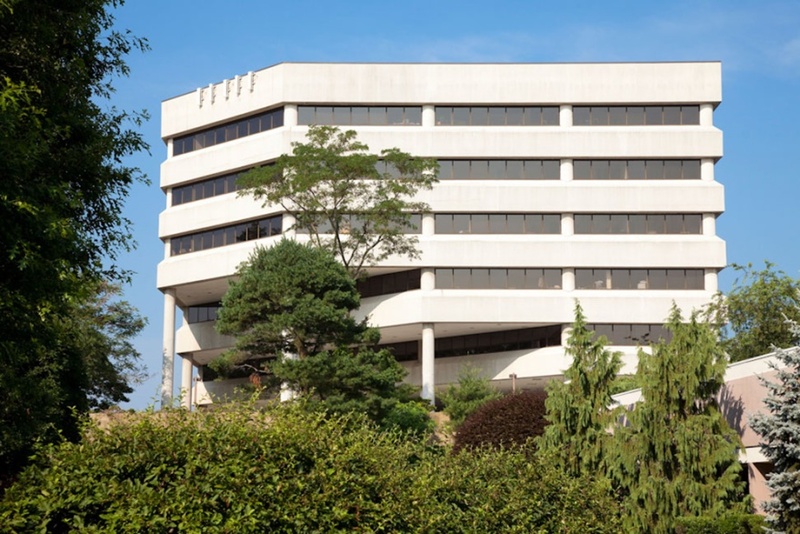 Fairfield County Community Foundation, a local organization that promotes philanthropy as a means to create change in Fairfield County, focusing on innovative and collaborative solutions to critical issues impacting the community, signed a long-term 10,760 square foot lease with TDC. The Community Foundation moved into their new space in June 2017. Potoo, an e-commerce software firm, is recommitting to the building by extending its lease and expanding its existing space to occupy a total of 9,791 square feet in November 2017. The firm was represented by Colin Reilly of CBRE in this transaction. L’Amy Inc., a leading fashion accessories provider, signed a long-term 7,125 square foot lease with TDC, and will occupy their new space in December 2017. L’Amy Inc. was represented by John Hannigan of Choyce Peterson in the transaction. TDC’s improvements to the property, paired with the creative office spaces they’ve built for existing tenants, played a major role in attracting 40 Richards Avenue’s newest tenants, and retaining those currently occupying space in the building. TDC purchased the property in July 2013, immediately executing a substantial capital improvement plan to add to the uniqueness and vibrancy of both the common and tenant spaces. 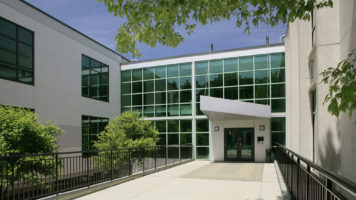 Improvements to the building included an upgraded and expanded cafeteria; a new fitness center; a new visitor parking area; upgraded lighting throughout the building to complement and enhance the existing natural light; enhancements to the bathrooms on all six floors; and improvements to the 4th and 6th floor common areas. TDC also introduced a new complementary shuttle service to transport employees to and from the South Norwalk Train Station. “As a leading fashion accessories provider, creativity and collaboration are key components to our business’ success. We look forward to moving into our new space at 40 Richards Avenue, which will allow us to grow in an environment that is both innovative and inspiring,” said Stephen Rappoport, CEO and President of L’Amy America. TDC is well-known for its repositioning expertise, which has attracted top companies to office buildings across the Eastern U.S. 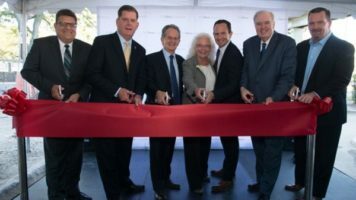 Among the numerous repositioning projects that TDC has completed in its 41-year history are: The Westport Center for Health, a 38,000 square foot, Class-A medical office campus that represents the largest collection of medical providers in Westport, CT; 67 South Bedford Street in Burlington, MA, a four-story, 176,886 square foot office building; One Cabot Road in Medford, MA, a four-story, 308,954 square foot building just four miles from Boston; The Xchange at Bedford, an eight-building, approximately 475,000 square foot campus in Bedford, MA, and the 460,000 square foot Union Trust Building in Pittsburgh, PA.